I love the book/ platform I Quit Sugar*. Sarah Wilson, who wrote the books, has built quite a brand. I don’t know Sarah personally (I guest posted for them when my book came out) but she always seemed like a badass with a great sense of humor. She bikes to work, in Australia where she lives, and is maniacal about food waste. 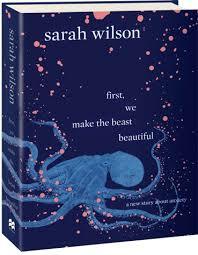 Sarah’s latest book, First We Make the Beast Beautiful, focuses on crippling anxiety she has experienced since childhood. I think the word “anxiety” gets tossed about, hey I’ve been known to use it loosely, but what she’s dealt with is no joke. Insomnia for days, an inability to work, in a recent podcast she talks about being on a bathroom floor in a hotel room, unable to get it together. I don’t know why I was surprised to know someone who seemed so admirably together struggled so much. Saturday, I took a walk (FYI Sarah says it’s practically impossible to be anxious and walk at the same time) before my son’s soccer game. 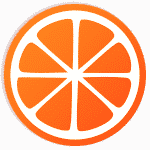 I listened to an episode of Dan Harris’s podcast. His guest was Sally Kohn, who also has a new book out. In the course of a conversation about meditation, Sally says that she thought being a neurotic, New York, Jewish woman meant anxiety was her cross to bear (wrong analogy). She took up meditation and heard an impactful phrase “make peace with your mind”. Both Sally and Sarah talk about that aha moment of thinking, ok I have this and I don’t have to resent or rid myself of anxiety, perhaps there are even advantages of feeling this way. As for me, I have what I’d call run of the mill anxiety. My mind can race when I lie down, I get nervous around deadlines (this seems to stem from wanting to do things perfectly) or big changes. The most intense anxiety I have had was before a marathon, I was running with pneumonia. I had another episode of panic, insomnia, heart palpitations, before I took the MCATs. Interestingly, both of those were situations I shouldn’t have been in. Was the anxiety telling me something I had yet to figure out? I will not lie. Part of me hears Sarah’s story and says, see? My anxiety is manageable. I feel guilty that my anxiety being less severe, in comparison to hers, comforts me. But these two women also showed me that what we feel is wrong with us might just be the way many of us are. Sarah said something like I can be anxious and successful, they two aren’t necessarily mutually exclusive. I’ve come to think that the “sunny side up” happy almost all the time people are very rare. So, cheers! We are all fucked up in some way, we all struggle with something. Chances are what fucks you up also makes you productive or creative or simply relatable. *Interestingly Sarah Wilson stepped away from I Quit Sugar yesterday.